Hope you haven't had enough of Christmas yet, as we have more coming at you every moment now. The latest comes from Cartier, in the form of a beautiful animated feature. Seems the idea of Santa Claus is old school when it comes to Cartier. They don't let just any old Saint Nick handle their precious jewels. When it comes to finding Cartier under your tree, it's all down to the Cartier panther. 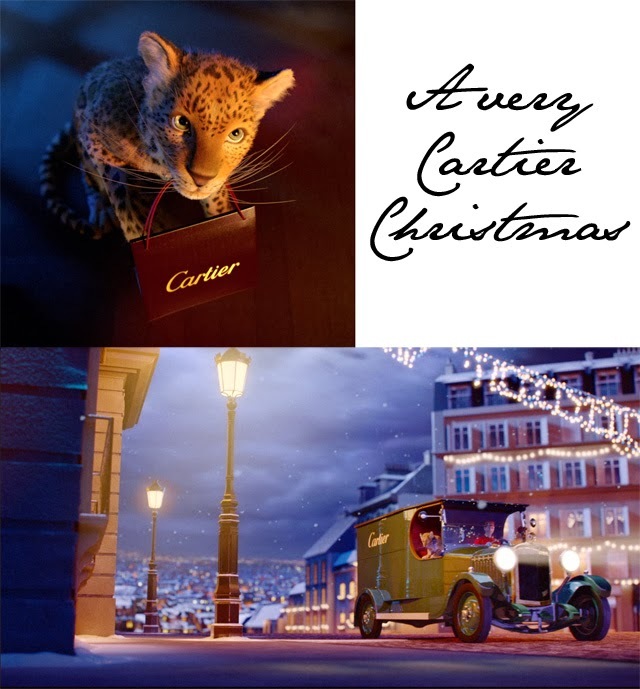 Oh, if only we would awaken to find a beautiful Cartier Panther placing goodies under our tree!